The integration of the first and second generation (1G2G) ethanol production promotes the increase of biofuel productivity per hectare of planted sugarcane, as well as the main liquid waste stream: vinasse, derived from ethanol distillation. As a sustainable way for it disposal, biogas production from anaerobic digestion (AD) promotes environmental suitability while enabling bioenergy generation. 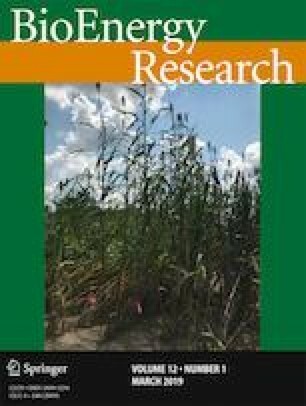 This work evaluated the potential energy generated from AD applied to vinasse within the context of an integrated 1G2G sugarcane biorefinery. Data from a literature survey based the scenario modeling and assessment, including economic and environmental indicators to compare the studied alternatives. AD allowed at least 68% increase of released bagasse for 2G ethanol production compared to 2G base scenario, being able to even double 2G ethanol productivity to 30 L t−1 cane. Organic matter removal efficiency of vinasse AD played an important role in 2G ethanol production so that higher the efficiency, larger the fraction of bagasse released for ethanol production. Economic indicators showed the unviability of 1G2G sugarcane mill including AD unit when considering the current technologies for 2G ethanol production in view of their high operational costs; however, with the envisaged technologies for 2025, the internal rate of return (IRR) of 14.3 and 17% was achieved, when considering conservative and optimistic data for vinasse AD efficiency, respectively. The results evidenced the importance of investment in R&D especially in 2G ethanol production but also in the AD of vinasse to reach the viability of this business. The authors would like to thank Prof. Gustavo do Amaral Valdiviesso for the support on modeling and simulation tools. This work was supported by projects FAPESP (Fundação de Amparo à Pesquisa do Estado de São Paulo) proc. 2016/16438-3 and FAPEMIG (Fundação de Amparo à Pesquisa do Estado de Minas Gerais) proc. TEC-APQ-02813-16.